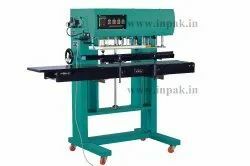 Pioneers in the industry, we offer automatic sealing machine, band sealing machine, continuous band sealer, vertical band sealers, vertical band sealing machines and horizontal band sealers from India. 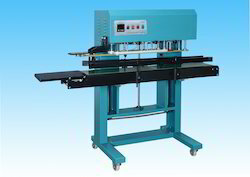 Our organization is counted among the leading manufacturers and suppliers of optimum quality Vertical Band Sealers. Sourced from trustworthy vendors, good quality raw materials are used in the manufacturing of these sealers. 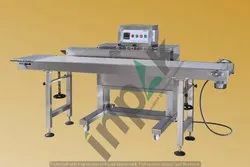 Known for their smooth functionality, high speed sealing and high hassle-free performance, offered machines are made available with an adjustable conveyor. 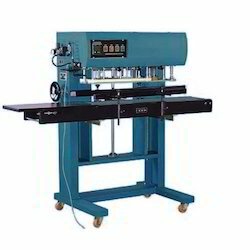 We are among the industry veterans, engaged in offering Vertical Band Sealing Machines to our priceless customers. The offered machines are characterized by gas strut adjustable pedestal and easy lift front cover. 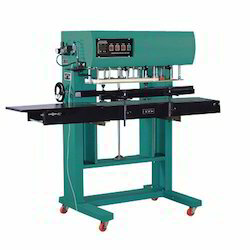 These machines are easy to operate and deliver long-term service to the customers. With their energy efficiency and minimal maintenance, these machines are highly appreciated by the customers. 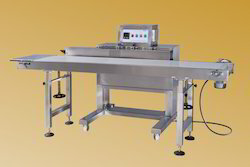 We are instrumental in the manufacturing and supplying of high quality Heavy Duty Bag Sealers. Made using best quality raw materials, offered sealers undergo several quality checks by the quality controllers. Our offered sealers are appreciated around the nation for their compact design, shock proof body, high durability and longer functional life.